Chicago Tribune: “Gov. J.B. Pritzker signs bill raising smoking age to 21 statewide” — “Gov. 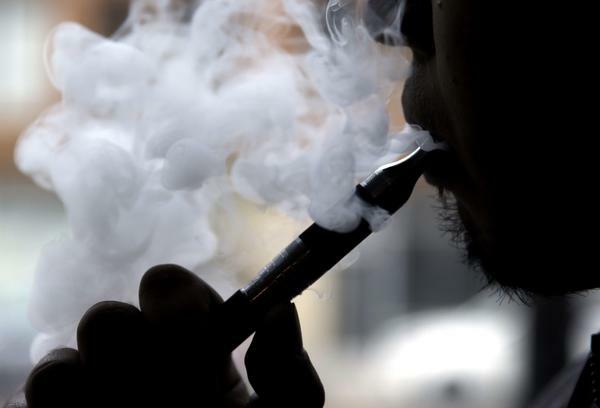 J.B. Pritzker signed a bill Sunday that will raise the legal age for purchasing cigarettes, e-cigarettes and other tobacco products from 18 to 21 statewide. “‘For Illinois, it will reduce costs for our state, it will make our schools and communities healthier places to learn and live, and — most importantly — it will save lives,’ Pritzker said in a statement. “Public health advocates have been trying for years to raise the legal age in Illinois, arguing that people are less likely to become smokers if they haven’t started by the time the turn 21. Lawmakers approved the bill last monthfor the second time in as many years after then-Gov. Bruce Rauner vetoed an earlier version last year. San Francisco Chronicle: “Why Juul is thriving despite the crackdown on youth vaping” — “For San Francisco vaping company Juul, the outcry from officials at all levels of government seems unrelenting: the U.S. Food and Drug Administration is cracking down on e-cigarette sales to minors, California lawmakers are weighing a bill to halt the sale of flavored tobacco like Juul pods, and, in the company’s own hometown, the city attorney is pushing to ban e-cigarettes altogether. Juul itself has yanked many of its most popular flavors off of store shelves. “Yet Juul’s growth prospects remain strong. The company — by far the largest e-cigarette maker in the U.S. — has a private valuation of $38 billion. That’s more than household names such as Airbnb and Lyft. And it is adding jobs, with expansions planned in Mountain View and Austin, Texas. Associated Press: “E-cigs outperform patches and gums in quit-smoking study” — “A major new study provides the strongest evidence yet that vaping can help smokers quit cigarettes, with e-cigarettes proving nearly twice as effective as nicotine gums and patches. “The British research, published Wednesday in the New England Journal of Medicine, could influence what doctors tell their patients and shape the debate in the U.S., where the Food and Drug Administration has come under pressure to more tightly regulate the burgeoning industry amid a surge in teenage vaping.